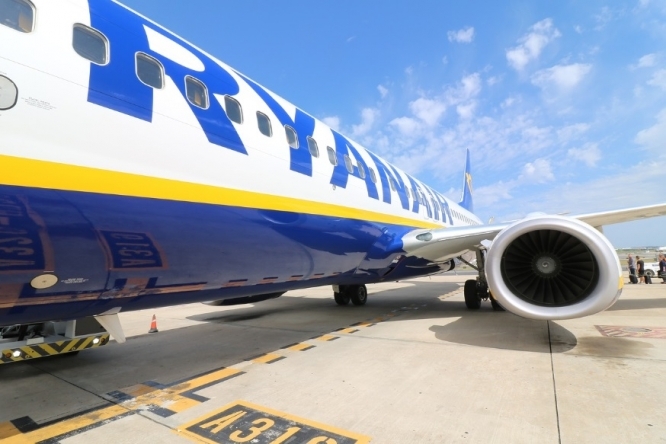 Low cost airline Ryanair is to cancel 190 flights this Friday (September 28) due to planned cabin staff strikes, with knock-on effects expected to be felt across Europe. The 190 cancelled flights are set to affect 30,000 passengers, and represent 8% of the company’s schedule of 2,400 flights for Friday. Staff from six European countries - Spain, Belgium, the Netherlands, Portugal, Italy and Germany - are set to strike over working conditions and demands for contracts in their own home countries. Currently, many Ryanair staff have Irish contracts regardless of nationality or home country. The strike action could see other flights across Europe disrupted, as flight schedules are subject to change and planes may not be in the right place for all journeys. Ryanair has not yet published a full list online of the flights that will be cancelled, but has said that all passengers affected will have been emailed and texted an update today, alongside options for alternative flights if possible, or the option of a refund. The airline has called the strike action “unjustified”, and blamed the cancellations on “a small minority of staff”. The company has already threatened the striking unions with direct reprisals on their employment status if the action continues. Mr Jacobs added: “We hope these unions will see common sense and work with us to finalise agreements for the benefit of our pilots and cabin crew over the coming weeks without further disrupting our customers or our flights." Ryanair has been affected by strikes for several months, after two major stoppages of work over the summer. These comprised 600 cancelled flights at the end of July - again due to a cabin staff strike; and 400 cancelled flights in August, due to pilot strikes. Yet, the airline has managed to strike deals with some staff, including in Ireland, Germany, and the UK. This week, the company also signed an agreement with three staff unions in Italy - although others will continue to strike on Friday.